After finishing rock bottom in 2017, the first team effected a remarkable change in form and fortunes, winning 17 games and losing only two all season. The last win which saw them clinch the title was on the final Saturday of the season against Upperthong, with opening batsman Mark Askham making a superb unbeaten 114, one of three tons he scored in the season. Other highlights included 19 year old local lad Tommy Sanders’ match winning 161 not out against Emley and captain Paul Goodman taking 7 for 53 against Linthwaite. Greys Artstone are proud to sponsor Denby Cricket Club. The club runs two senior teams which play in the Drakes Huddersfield Cricket League. There are also junior teams at all age groups from under 9s to under 17s. The picture below features club record holder, Zahid Nissar, our overseas player from India, who smashed 248 not out against Birkby Rose Hill. The team’s total of 425 for 4 was also a record. As was the number of balls we lost that boiling hot day back in June! 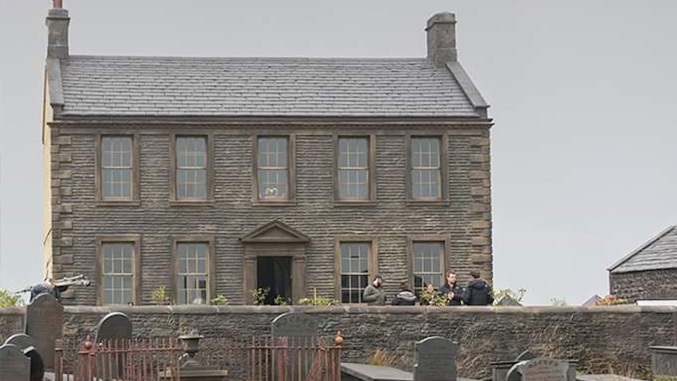 Early last year Greys Artstone was invited to provide the roofing material for the recreation of the Brontes home, The Parsonage, for the latest drama from the BBC 'To Walk Invisible'. Television viewers won't be able to tell it apart from the stone-built Bronte Parsonage in nearby Haworth, former home of the Brontes. 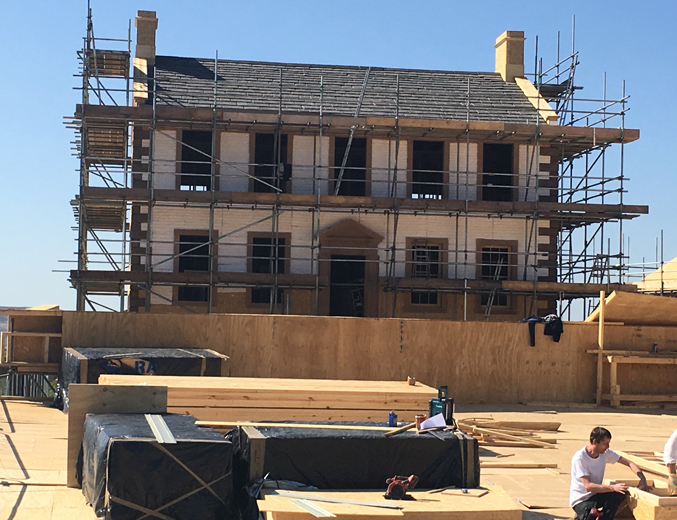 Greys Artstone Natural Weathered Slate was the ideal choice for the set as it is an exact reproduction of the original stone slates that would have been used on the existing Parsonage.